Pretty Gilded is probably what our pinkest of dreams are made of. Floral wedding stationery to personalised wedding invitations, add this store from Hyderabad to your list of bookmarks pronto! 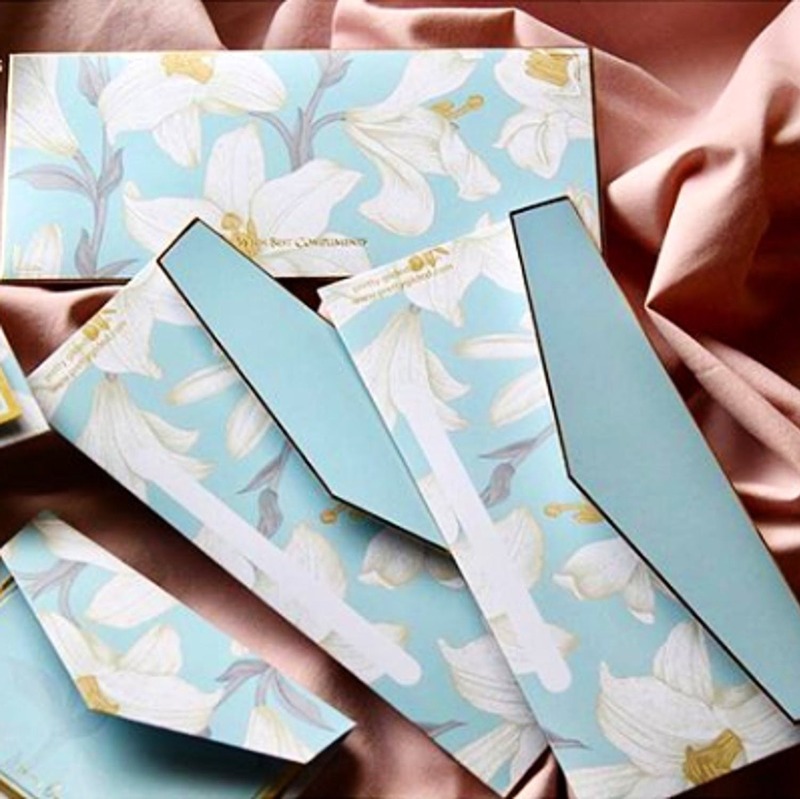 Pretty Gilded was founded by Sakina & Rashida (The Fida Sisters) and their love for paper gives us one of those rare brands that craft bespoke wedding invitation and stationery (without burning a hole in our wallet). They believe that details matter, and when you notice the wedding invitations they craft, you are bound to notice how minimalistic yet intricate are the motifs, paisleys or florals on the cards. If you are a bride who enjoys everything personalised, Pretty Gilded can pretty much be your constant for crafting invitations with your story on them. The personalised stationery largely consists of themed boxed stationery sets, and money envelopes. All of these are themed after cities like New York, Jodhpur, Jaipur, Paris, Tuscany, Casablanca, Amalfi, and Copenhagen. The boxed sets carry money envelopes, note cards, and their envelopes; 15 of these are tucked into a box. If you like your gifts to carry your name (obviously), you can get them customised too. Pretty Gilded has created the invitations for Dhoom Dhaam Weddings — a shopping exhibition curated by Tanya Ghavri as its official partners. Spot them at the exhibition, and get yourself something maybe? Plus, you can visit their store in Gandipet on an appointment basis for wedding card invitations.